What is the brightest spotlight? A spotlight is a tool intended to produce very bright light with a far beam distance and a good flood area. 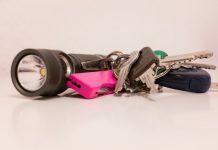 Spotlights have a wide range of uses, from looking for animals in the wild to looking for dangerous debris on the ocean surface when boating. 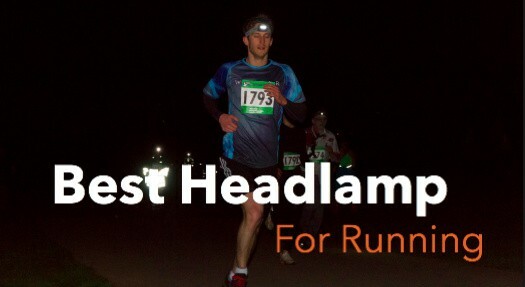 When looking to find the brightest spotlight there are two things to keep in mind, namely lumens and distance. Traditionally light has been measured in the watts of electric powered used. However, modern light equipment is measured in lumens instead of the watt. To find the brightest spotlight, we look at a spotlight’s lumen and the distance the light-beam of the spotlight is thrown. In photometry, luminous flux or luminous power is the measure of the perceived power of light. The SI unit of luminous flux is the lumen (lm). One lumen is defined as the luminous flux of light produced by a light source that emits one candela of luminous intensity over a solid angle of one steradian. In basic terms, the higher the lumen count, the brighter the light will be. As an example, a 100-watt incandescent bulb would have approximately a total of 1500 lumens. A key requirement of a good spotlight is the ability to produce a beam over a long distance or over a wide area. If a beam is produced at an angle to generate a wider beam (and thus cover a wider area), the brightness of the beam will be reduced. However, when a beam is focused at a less of an angle, a smaller area will be cover but a stronger and brighter beam will be produced. Now that we have covered what we will base our search for the brightest spotlight on, we can list our top 5 choices for the brightest spotlight! This spotlight by Black & Decker produces an output of 2000 lumens using a 10 watt LED light source. The manufacturer claims that their proprietary CLO (continuous light output) technology allows the Black & Decker 10 Watt LED lithium-ion rechargeable spotlight to run up to 6X longer and up to 5X brighter than halogen-based spotlights without dimming. 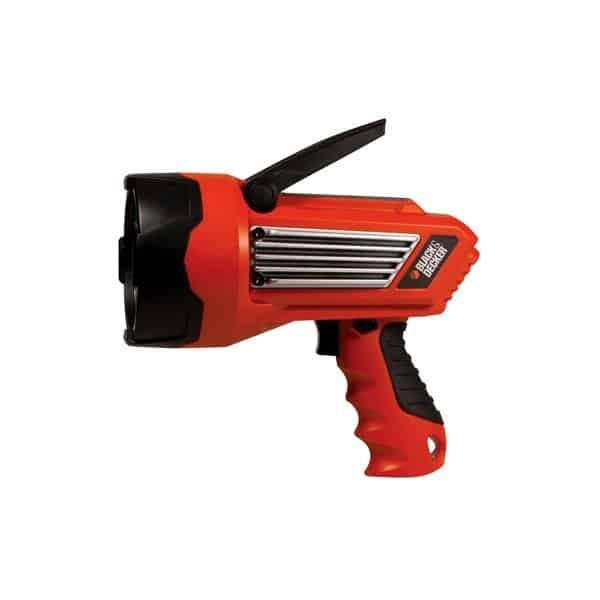 The rechargeable 7.4 Volt lithium-ion battery pack allows for a run-time of up to 1.5 hours on high and 7 hours on low. The lithium-ion battery can hold a charge for up to a year, so you can charge it and pack it away until you need to use it without having to worry that the battery will become discharged over time. AC and DC charging cords are included to recharge the spotlight at home or inside a vehicle. This spotlight by Q-beam produces an output of 1200 lumens with a beam distance of 619 meters (that is a little under half a mile!). The light is produced using a Halogen bulb, which is power by 12V DC power. This is a tough spotlight, as it has a tempered glass lens and is listed to be impact resistant to 1 meter. 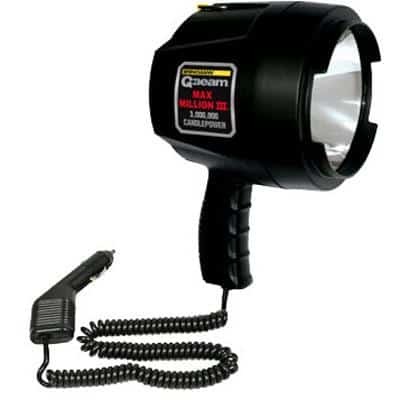 A 12V DC charger and a nylon carry bag is included with the spotlight. 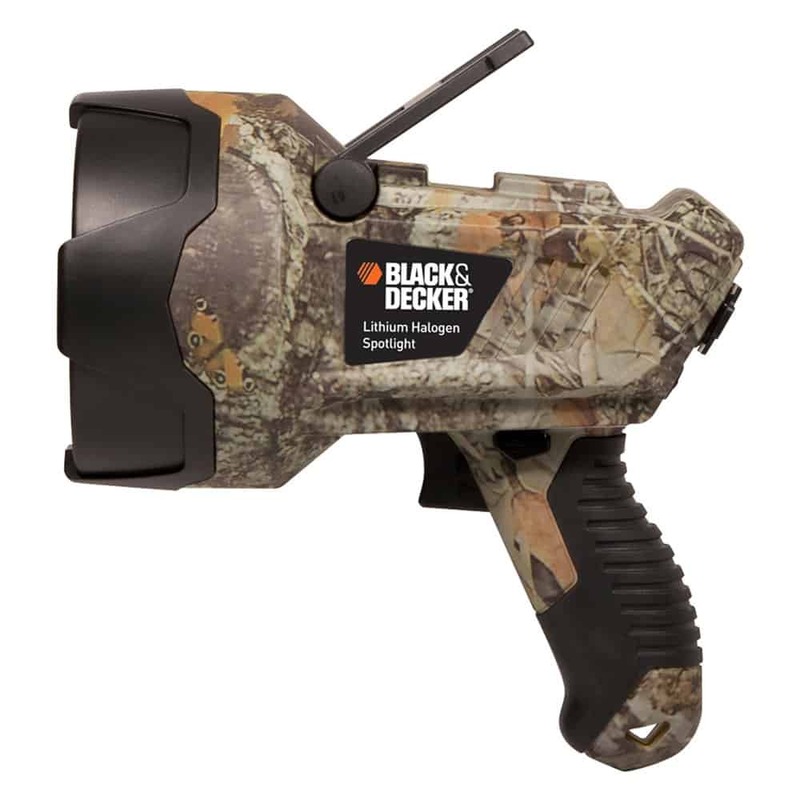 This camouflaged spotlight by Black & Decker produces an output of 950 lumens using a Halogen light source. Similar to the other Black & Decker spotlights on our list of the brightest spotlights, this spotlight uses Black & Decker’s propriety CLO (continuous light output) technology for a light that runs up to 3X longer and up to 3X brighter than traditional halogen based spotlights. It also has a pivot stand, to allow for hands-free operation while the spotlight is placed on a flat surface. 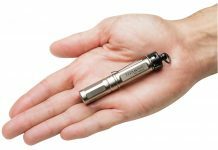 The light is powered by a rechargeable 11.1 Volt lithium-ion battery pack, which allows for a run-time of up to 35 minutes. 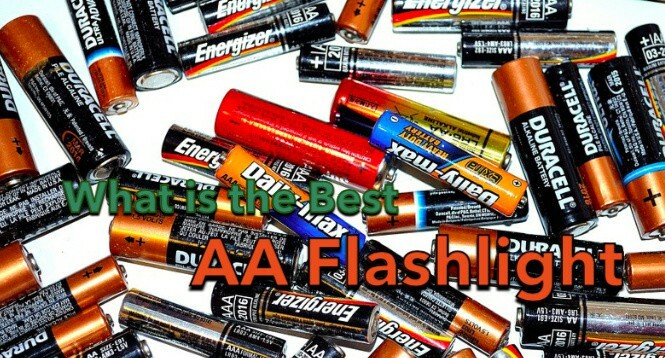 The battery can hold a charge for up to a year. AC and DC charging cords are included with the spotlight. 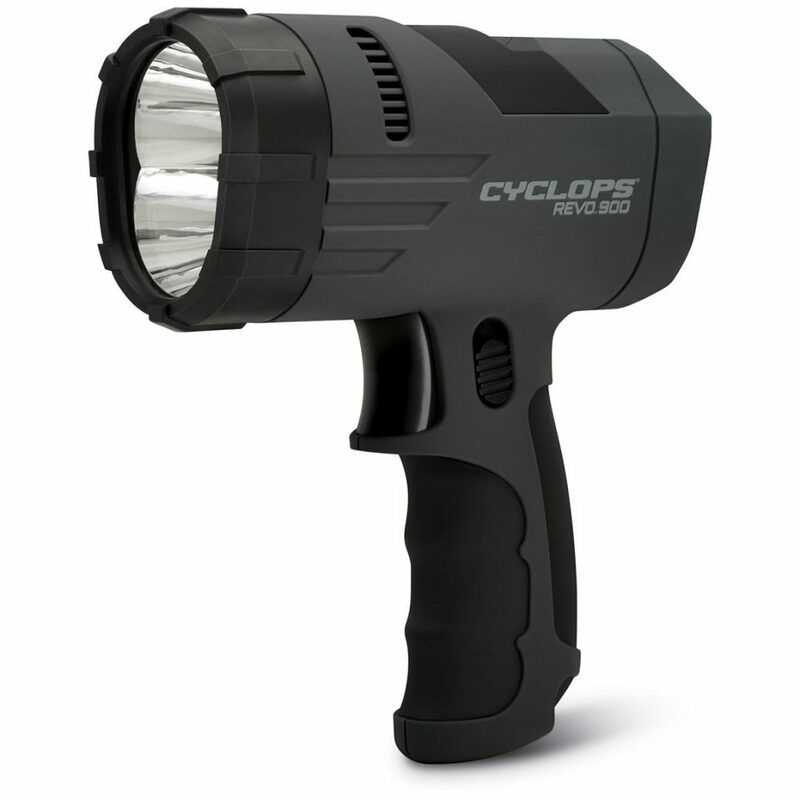 The Revo 900 spotlight by Cyclops produces an output of up to 935 lumens using 2 high powered Luxeon M LED lights. 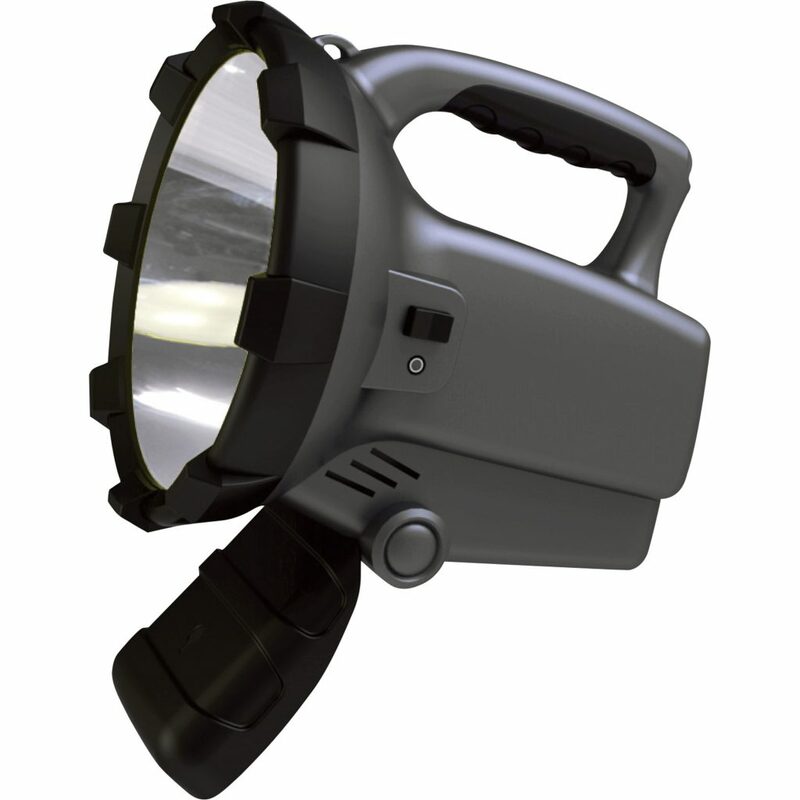 The spotlight is powered by a rechargeable 6V 2.5Ah SLA battery (the spotlight comes with a home and car charger). 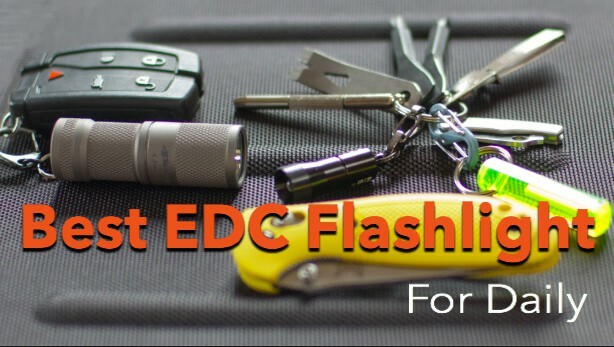 This is one of the bigger spotlights on our list of the brightest flashlights, weighing in at 3 pounds. 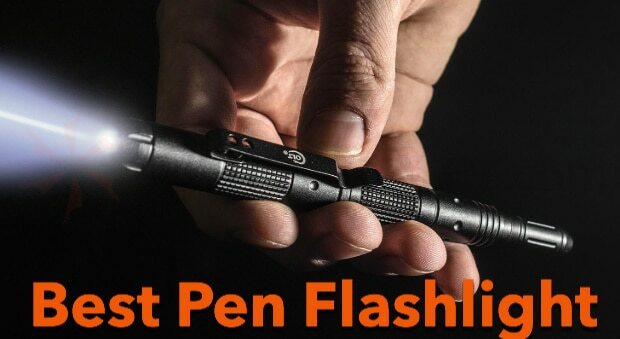 The spotlight produces an output of up 800 lumens using a 10-watt CREE LED light. 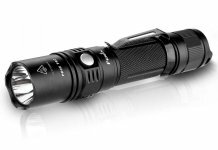 The rechargeable battery provides a run-time of 3 hours in High mode (800 lumens) and 6 hours on Low mode (400 lumens). 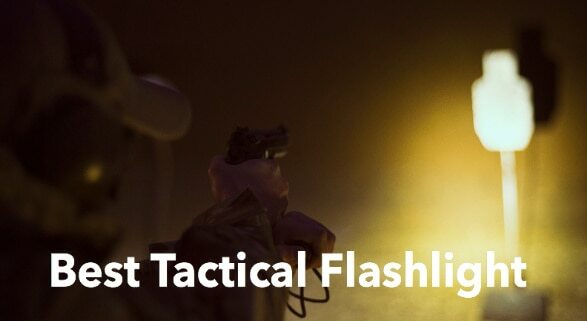 A useful feature is the blinking color shaded light, which can be used in emergency situations, as well as a swivel stand to allow for hands-free operation while the spotlight stands on a flat surface. Do you think these spotlights listed above are the brightest spotlights available? Do you think there are better spotlights available that are also much brighter? Please share your thoughts on what you think are the brightest spotlights in the comments section below. If you found this article on finding the brightest spotlight useful, please share it with your friends on your favorite social network.